Find Top Rated schools in Missouri City, Texas. This is a list of schools in Missouri City, ranging from Preschool, Elementary School, Middle School and High School. The Fort Bend County portion of Missouri City is served by Fort Bend Independent School District, while the Harris County portion is served by Houston Independent School District. The district spans 170 square miles (440 km2) covering almost all of the city of Sugar Land, the city of Meadows Place, the Fort Bend county portion of Missouri City, Arcola, small sections of Houston, small sections of Pearland (including some of Shadow Creek Ranch), the unincorporated communities of Clodine, Four Corners, Juliff, and Fresno, and the Fort Bend County portion of Mission Bend. Fort Bend Independent School District was created by the consolidation of the Sugar Land ISD and Missouri City ISD in 1959. The school district is the seventh largest public school system in the state of Texas and third largest within the Houston–Sugar Land–Baytown Metropolitan Area. The school district is currently the largest employer in Fort Bend County with more than 9,000 district employees, and encompasses some of the wealthiest locales in the State of Texas. 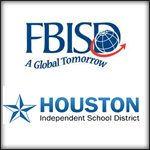 Fort Bend ISD is distinguished by its honors. In 2010, the school district was rated “recognized” by the Texas Education Agency. Search for Missouri City Real Estate Listings and Homes For Sale with our Home Finder Tool!